It's unarguable that the industry is male-dominated with many women experiencing casual sexism in the workplace. This is topped off by unshakable and damaging stereotypes, which not only negate females already in tech, but create barriers, which dissuade young women from joining. Unsurprisingly, this representation is mirrored throughout some of the world's most loved brands. We've all got a smartphone, right? Well, what does gender diversity look like within these mobile manufacturers and how are they trying to encourage females to join technology professions? "Apple is committed to transparency, which is why we are publishing statistics about the race and gender makeup of our company. Let me say up front: As CEO, I'm not satisfied with the numbers. They're not new to us, and we've been working hard for quite some time to improve them." This certainly rings true with regards to leadership within the company. Apple has previously been criticized for its lack of diversity within the board of directors, which in turn encouraged them to seek out 'highly qualified women to include in the pool from which board nominees are chosen.' And to be fair to them, they found a couple of powerhouses. 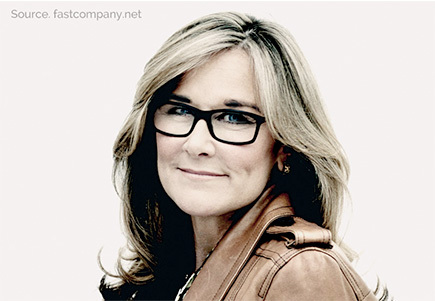 In 2013, former Burberry CEO Angela Ahrendts was hired to head up Apple's retail and online sales whilst Sue Wagner, the founding partner and director of BlackRock, was elected to the board of directors, taking their leadership split up to 72% male, 28% female5, which, and I think you'll agree, is still a considerable difference. Even so, at least, we're being heard. Credit where credits due, in an economy where women are still vastly underpaid compared to their male counterparts, Apple are taking a public stand. Parallel to her shimmering career, Ahrendts has also managed to build up a successful family life alongside her husband and their three children. We all agree that the choice between building a family or reaching the peak of your career is a major talking point, not just in tech but in other careers also. To combat this, Apple recently launched an egg freezing scheme8 which enables women to have the best of both worlds. Based in Korea but spread across the world, Samsung has 286,284 employees with 4.8% of these coming from Europe. Out of the overall worldwide figure, merely 16% of women work in tech roles10. We're certainly beginning to see a pattern here. "In order to expand STEM education and career opportunities to women, we have to give girls exposure to STEM via an accessible, fun experience with real world learning's and we're doing just that through this partnership." Samsung also teamed up with Girls Who Code, a non-profit charity dedicated to reaching gender parity in computing fields, to launch a Mobile App Challenge. The idea was to get young girls to work together to design and code a mobile application that addresses a need in their school or community. “Although IT is a million miles from a building site, there will always be a certain amount of 'banter' that you have to take with a relaxed attitude. It's vital that women do not feel pressured to compensate for their gender; a woman might feel she needs to illustrate her commitment and value to the business with a more demanding work schedule, negatively impacting her personal life.” Read more. “These issues don’t disappear and they never will. The key is raising awareness of diversity in the workplace, and stopping and thinking for a moment. Having children is a challenge and it will compromise your career path in some way. Flexible ways of working are pivotal, as are childcare arrangements and length of leave. 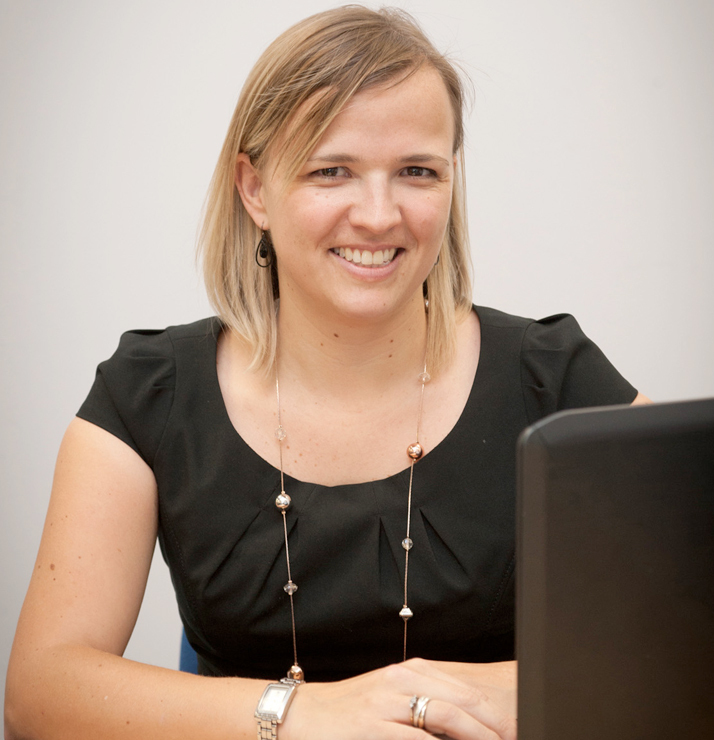 Businesses need to be on their toes.” Read more. Mirroring the majority of smartphone manufacturers featured, Microsoft have just 16% of females working within a technology-based role; this is compared to 44.3% of women in a non-tech role13. By looking at these figures singularly, it would be easy to slate the company for this obvious gender gap; however, this doesn't at all reflect the remarkable effort they put into recruiting women. By participating in the Microsoft DigiGirlz Day, young women can find out about the variety of opportunities available in the high-tech industry and can explore future career paths. Read more. Women at Microsoft sponsored 10 women to attend the WiRL Leadership Summit for those seeking professional development. Read more. Women at Microsoft partnered with SitWithMe.org to recognize the important role women play in creating future technology Read more. 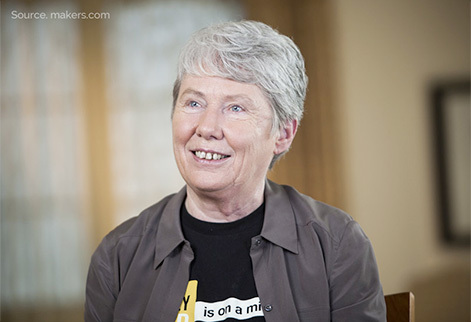 Out of the 17.2% of women in leadership roles at Microsoft,13 Maria M. Klawe has to be the most admirable. Before joining Microsoft, Klawe served as dean of engineering and a professor of computer science at Princeton University after receiving her doctorate and Bachelor of Science degrees in mathematics. Making significant contributions in her field, her current research interests include discrete mathematics, serious games and assistive technologies. It's fair to say that Maria is an exemplary role model for any women. Perhaps her most endearing trait is her lifelong passion to 'increase the participation of women in science and technology, serving on the Anita Borg Institute for Women and Technology since its inception'. Again, like most successful women in tech, Klawe has managed to balance her super career with an exciting home life alongside her husband and two children. But enough of the boring bits, recent diversity reports indicate that Sony boasts a rather large (when compared to others) 34.3% female employee number in Europe, which is massive 15.7% higher than in Japan where its headquarter is based.15 However, what they don't distinguish between is whether this is strictly for tech or non-tech roles. "In the electronics business, which accounts for a large proportion of engineers, the percentage of male employees is comparatively high, reflecting the generally low percentage of female students majoring in engineering and technology." Now, HTC is an exciting one. Apart from the fact that the Taiwanese company achieved a slim net profit, of $14.7 million17, thanks partly to its Android powered smartphones, it's also the only phone manufacturer to be co-founded by a woman. Introducing Cher Wang, the female who aimed to converge computing and communications into a handheld device and succeeded in creating a multi-billion dollar global company developing the most innovative smartphones on the market. 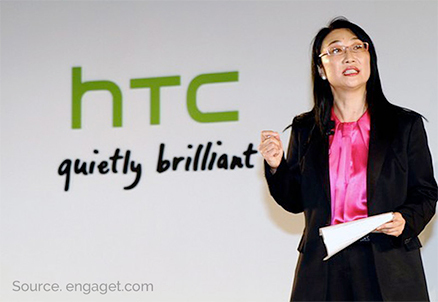 Compared to the others, HTC has a humble employee figure of 17,631 worldwide. Refreshingly, a massive 49.40% of these are women.18! However, it must be said that like Sony, it's not entirely clear whether this is wholly attributed to tech based roles. Still, for a massive electronics company, this is awesome. Let's get back to the woman in the spotlight, Cher Wang. The daughter of one of the richest men in the world thanks to her father's plastics and petrochemicals company, Wang has followed her family's technological dynasty. 2014 was a tremendous year for LG, announcing an improved $475 million profit after shipping a total of 59.1 million smartphones, a 24% increase on its previous year19. With the LG G4 release pending, it's looking likely that LG are only going to get bigger. Disappointingly, LG has 23 people within top management roles yet not one of them is female21. Are they doing anything to combat this? Well, it seems like there's a lot of talk around employee development, and the plan looks pretty nifty; however, there is less focus on female progression. To be fair to them, they do state that they are dedicated to 'making on-going efforts to recruit and foster female talent', but that's where the commentary ends. Way back when Qwerty screens were cool, and BBM ruled the world, BlackBerry was flying. However, from its latest financial year, the Canadian company has reported a net loss of $5.9bn.22 Nonetheless, due to recent releases, including the BlackBerry Classic, BlackBerry has displayed a solid quarter. With that out of the way, let's press on with more important findings. According to its latest Corporate Responsibility report, 25% of BlackBerry's 10,107 worldwide employees are female.23 Which, and I think you'll agree, is a pretty decent figure when compared to the rest of the market. Unfortunately, as with Sony, HTC and LG, there is no indication, whether these are for tech based roles. A theme that keeps arising throughout this article is the lack of females qualified in a STEM subject. The question seems to be: how can tech companies hire more women if there's a lack of women qualified to do the job? Well, if you're BlackBerry, you help inspire young women to take up a tech career by campaigning for change. Announced by former Global Creative Director Alicia Keys, the BlackBerry Scholars Program is an initiative designed to inspire more women to enter the mobile computing industry and pursue careers in the fields of Science, Technology, Engineering and Math (STEM). The recipients will receive full, four-year university tuition scholarships to the school of their choice for degrees in STEM-related fields, as well as mentorship and professional opportunities. Lastly but by no means least is Motorola, since being acquired by Lenovo, who also owns two other smartphone brands - the Chinese company has shipped 10 million smartphones and pulled in $1.9 billion in revenue25 focusing on mid-range and affordable smartphones including Google backed Nexus 6 and the budget Moto X. According to the company's latest Corporate Responsibility Report, 30% of employees worldwide are women.26 Once again though, this doesn't state whether these are for strictly tech roles, nevertheless, this is a decent figure for a massive technology organisation. What's pleasing to see is Motorola's focus on Business Councils to help 'reinforce our commitment to inclusion by raising cultural awareness, sponsoring internal events, and partnering with external organizations.' One of these are solely dedicated to women and 2, 000 employees participated in activities. "At Motorola Solutions, we strive to create an inclusive, open environment where employees' diversity of thought, attributes, cultures and experiences are valued and celebrated."